One of the most challenging tasks for managers and supervisors is determining the cause of performance problems in the workplace. Employee performance can often be influenced by many factors. Unfortunately, poor performance can drastically decrease effectiveness. If not addressed immediately and appropriately, poor performance can grow and cause other influences to turn from positive to negative. · Understand the six domains of the Binder Six Boxes Model. · Learn how to diagnose performance problems using Ferdinand Fournies’ 16 reasons for poor performance. · Identify appropriate solutions to performance problems in the workplace. Nathan Strong currently serves as the Director of Organizational and Professional Development at the University of South Carolina. His primary areas of focus are organizational development, supervisory and management development, process improvement, and performance enhancement. Formerly, Nathan served as the Program Manager for Organizational Development in the South Carolina Office of Human Resources. 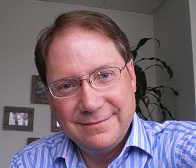 He has been involved in organizational assessment and organizational development activities for over 30 years. Nathan has consulted with over 75 public, private, and non-profit organizations on organizational performance issues. Additionally, Nathan provides executive coaching to improve leadership performance. He frequently facilitates strategic planning, team development, goal setting, and metric development teams. In addition, he has served as a facilitator for organizational and community forums throughout South Carolina.